Need Help? No problem, we LOVE to help plan events! For Corporate Team Building, School Events, Private Birthdays & More! The Battle Rifle Pro is the most advanced gear available in Central Texas! 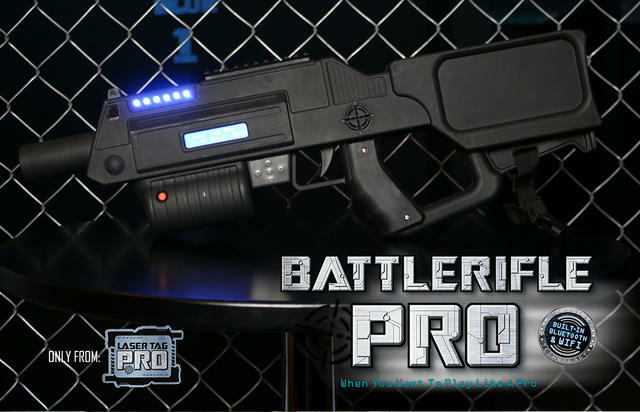 It is the latest innovation in tactical equipment and sets the standard in the laser tag industry. Great for youth groups, team building, corporate events, school events & more - recommended 7 and up! 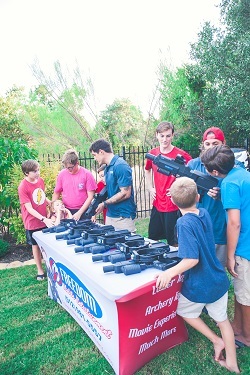 Your package includes: 10 Battle Rifle Pro Laser Tag guns, 4 inflatable super barricades & laser tag music via blue tooth speaker. Get ready for coached scenarios like elimination, free for all, VIP & more! Entertain lots of guests at a great price! 1) Warehouse Pickup: Save BIG and you don't pay the overnight fee. Just pickup from our warehouse and bring back the next day. We provide a thorough orientation. 2) Overnight Drop Off: Enjoy more FREEDOM by choosing our popular overnight rental. We come to your place on a flexible delivery schedule. We will orientate the host and pickup the next day. What does a coached laser tag event look like? It’s important to ensure guests try and arrive on time so our coaches aren’t having to repeat instructions or go back thru the safety briefing – some of our customers actually communicate an earlier start time to their guests so everyone is sure to be there. After the orientation, the games begin! The Game Coach orchestrates a variety of games. This way everyone gets plenty of playing time, rest, and water breaks if needed (be sure to have plenty of water on hand). When we’re done, your guests can head inside for cake or to open presents while we take all equipment down and pack up.